I have been on a bit of a onesie roll lately. With the first grandbaby due any day now, you will soon see why I am sure! 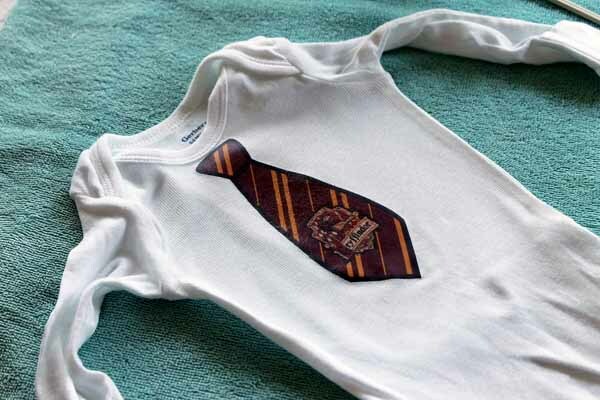 This time I am going to show you how to make heat transfer onesies. You can also click here to see my iron on vinyl onesies. This post is sponsored by Online Labels however all projects and opinions are my own. All you need for this project is a printer and your heat transfer sheets from Online Labels. There are two different versions depending on the color of your onesie. Since mine are white, I used the light version. Just choose an image and print it mirrored onto the heat transfer sheet. 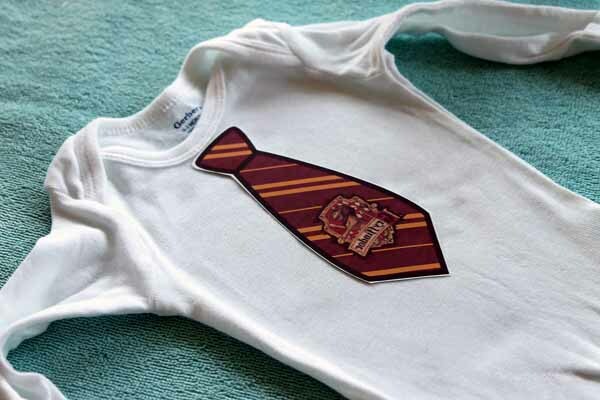 The two I used are this chicks graphic and the Harry Potter tie here. Once your image has been printed, trim around the entire thing using a pair of scissors. The Online Labels site has great directions on how to use the heat transfer paper if you click here. Basically you will flip the transfer over onto a wrinkle free but hard surface. Then iron on using a VERY HOT iron with no steam. The timing for ironing is discussed on the PDF linked above. 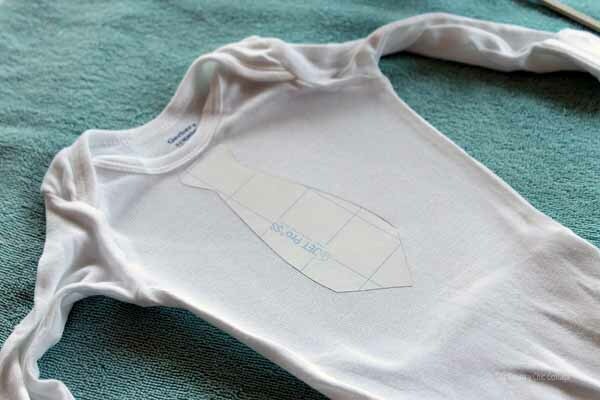 Follow the directions to make sure your heat transfer onesies are successful. After ironing, you allow the entire thing to cool at least two minutes before removing the backing. Your onesies are ready for wearing or gift giving. You can use this same method with any free image you can find online. Just be sure to invert the image before printing so your text reads correctly once transferred. 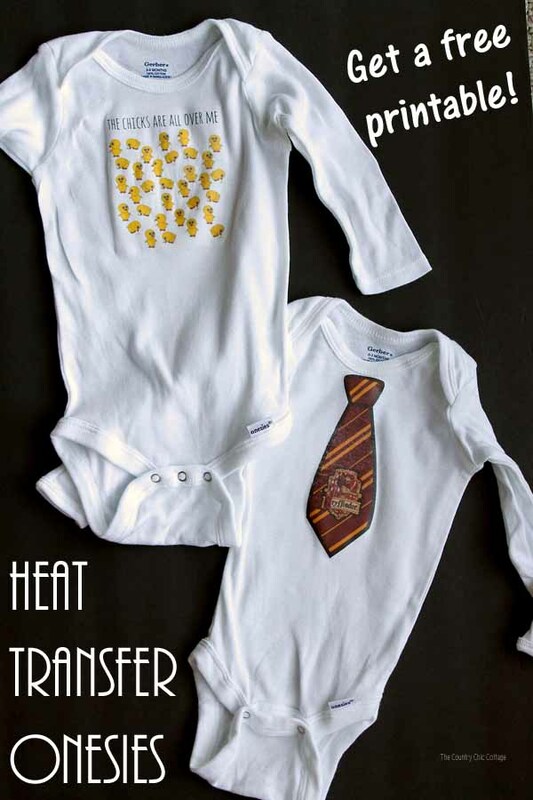 What kind of heat transfer onesies will you make for the little ones in your life? 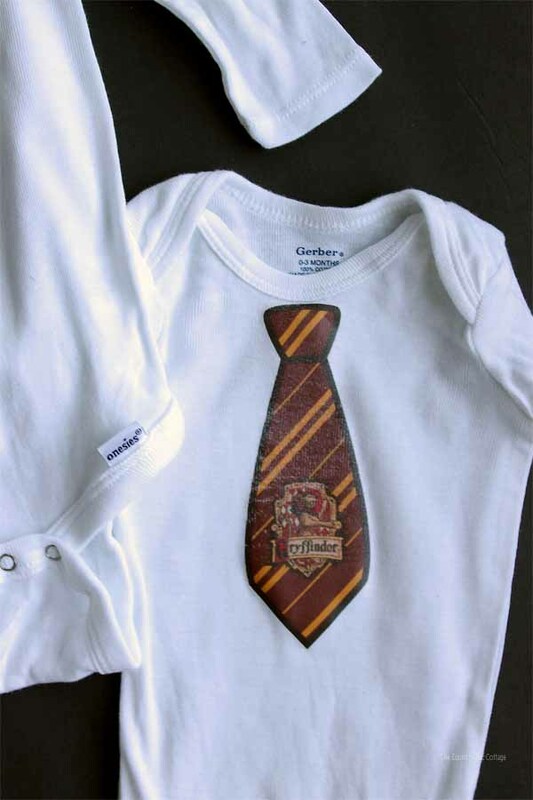 My daughter is a huge Harry Potter fan so naturally the baby will be joining Gryffindor. 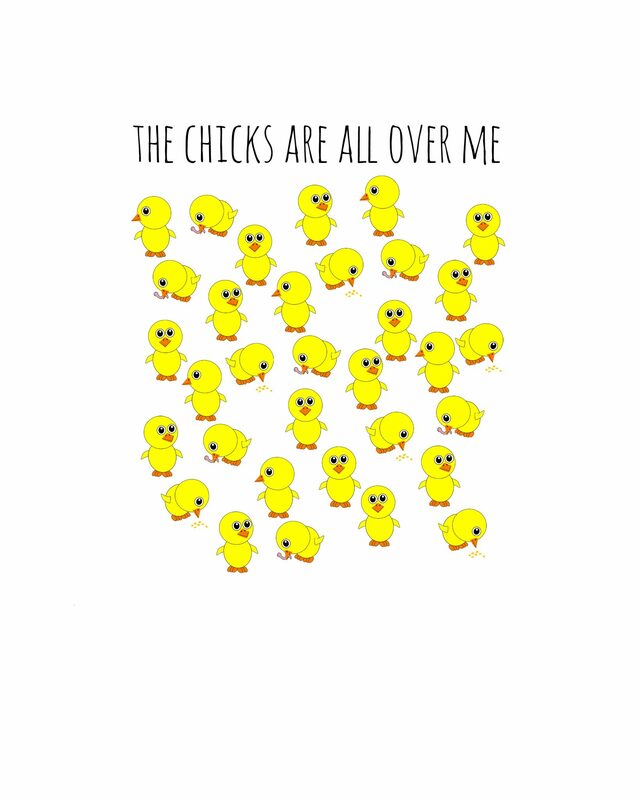 And the chicks graphic I created was just too funny! We definitely had to turn this one into something to wear for the little guy. 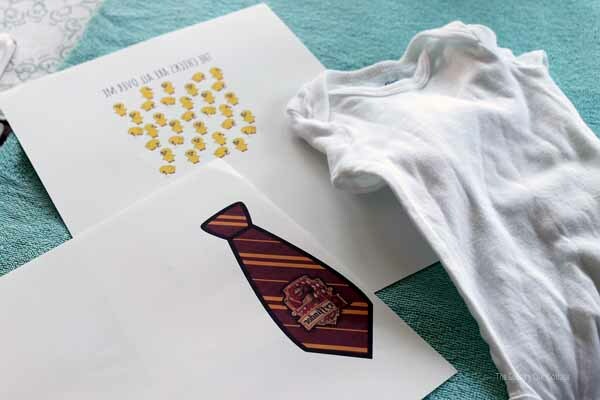 Making your own heat transfer onesies is as easy as printing and ironing. You can use this same method on tshirts and more for older kids and adults as well. You will soon be addicted to making clothing with this super simple technique.